If you’re thinking about quitting on smoking, improving your [insert any sport] game, going to the gym more often and others similar types of resolutions, the tip is to never to do it alone. “If you are someone who has a higher success rate when you have outside support, then get a buddy. This creates accountability, which is essential for success.” – Amy Applebaum, success coach. It is also advisable to keep yourselves with people who inspire you to be more, do more and have more. Remember that your ‘buddy’ should be a positive force in your life and not a negative one. Do not spend your time with ‘energy vampires’; people who drain you mentally and emotionally, even if they’re willing partners. Rather than trying to get world peace in 2018, how about making your goals more attainable, like reading War & Peace instead. Applebaum pointed out that many of us create resolutions that are too ‘big’ and therefore we can’t meet them. “If you think you will lose 100 pounds in three months, this is not going to happen,” says nutrition and fitness expert Erin Palinski. According to her, you also need to set goals that are actually achievable in the stipulated time frame you’ve set for yourself. Alabama-based clinical psychologist Josh Klapow advises that you should always pick goals you have confidence in and stick with it. It is far better to succeed on a smaller, manageable resolution than to fail at a larger, loftier one. 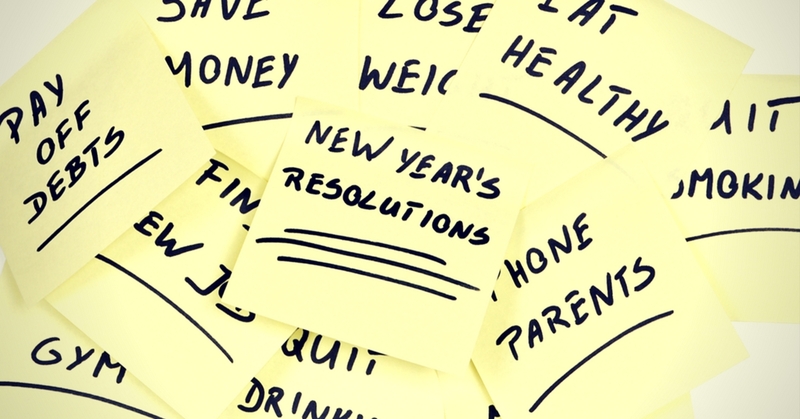 Don’t make resolutions that require a big amount of time to complete. Instead, break it up to manageable clusters of time frame. Professional organizer, Melinda Massie states that she tries to devote five minutes per day to being clutter-free and organised because she believes that easiest way to stay organized and clutter-free is to make it a daily habit, and everyone can definitely spare five minutes a day. The best resolutions are those that always includes a plan of action. Applebaum states that people set themselves up for failure because they commit to a resolution but do not have a plan in place to actually achieve it. It is advised that you need to create a plan that will help you achieve your goals and break your end goal down into smaller, weekly goals so you feel like you’re working towards something immediate. One of the methods is to make a calendar with something to do every day that will get you closer to your desired result. At the end of of the day, the big question is whether you’re truly committed to run that marathon, shed some pounds or whatever else you’re committing yourselves to do. You have to be honest with yourself. Guilty as charged, I think we all know it too well that we often find ourselves committing to things just cause we think we should out of peer pressure. What you should do instead is to make resolutions which you actually want to achieve because you truly, deeply, madly wanted to, and make a game plan to work towards it.